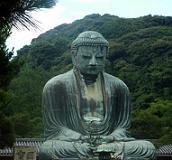 Buddha Quotations Top 10 List. Incredible List Of Buddha Quotes! This list of Buddha Quotations is filled with some of the most amazing words of insight, inspiration and wisdom ever spoken. Enjoy these great quotes by Buddha! I hope you've enjoyed this Top 10 List of Quotes By Buddha.